A new musical adaptation of the classic children’s story The Adventures of Pinocchio will arrive in London this Summer, playing at Greenwich Theatre from Wednesday 5 to Sunday 23 August. 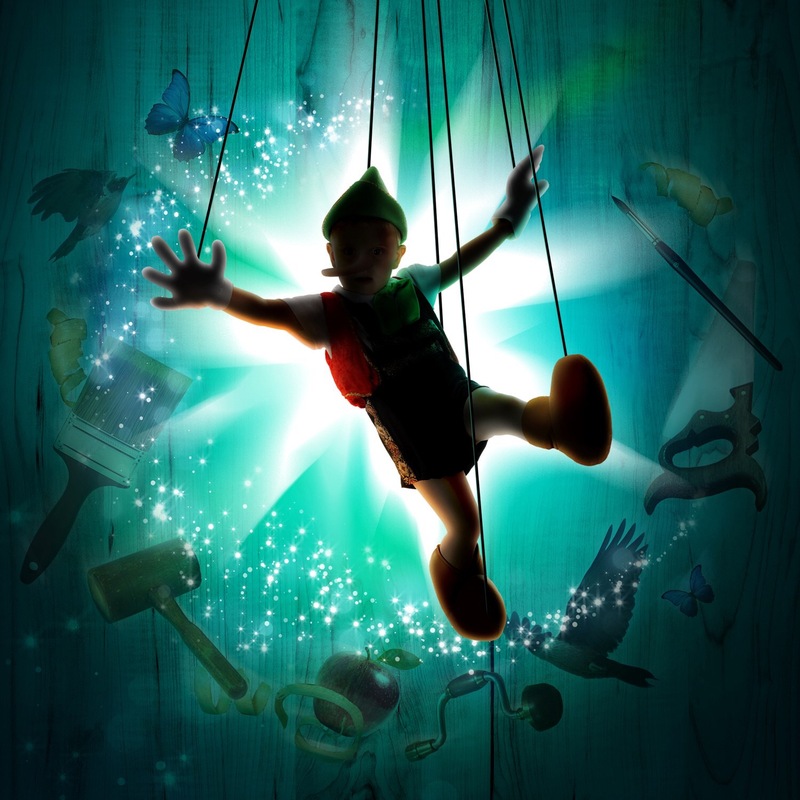 Based on Carlo Collodi’s classic tale, Pinocchio tells the story of a wooden puppet yearning to be a real boy. Carved out of wood by the lonely toymaker Geppetto, Pinocchio tumbles from one disastrous situation to another in search of adventure — only to discover that, in the end, all he really needs is an unselfish heart and the love of his father. Written by the Broadway and Disney writing duo Neil Bartram and Brian Hill (The Story of My Life, Bedknobs and Broomsticks), this family musical brings a new vision of the timeless story to the stage, springing to life with inventive and awe-inspiring puppetry, live musicians, singers and performers. Originally produced at the Chicago Shakespeare Festival, this production will be its UK Premiere. It will be directed by Bronagh Lagan (Portia Coughlan, Girlfriends, Rags In Concert) with Musical Direction by Freddie Tapner (Girlfriends, Mr Swallow The Musical, The Sorrows Of Satan). It is produced by Katy Lipson for Aria Entertainment, Guy James and Ilai Szpiezak for Szpiezak Productions in association with Greenwich Theatre, by special arrangement with R&H Theatricals. Brian is best known as the book writer for The Story of My Life, which premiered on Broadway in 2009, and earned four Drama Desk Award nominations for outstanding musical, music, lyrics, and book. The Story of My Life has received award-winning productions throughout North America, Denmark, Germany, Belgium, South Africa, and was an unmatched hit in Seoul Korea. With Neil Bartram he has written, among others, Not Wanted on the Voyage, The Adventures of Pinocchio, commissioned by Chicago Shakespeare Theater, and The Theory of Relativity, which simultaneously received its world premiere at Goodspeed musicals and in an Off West End production in May of 2014. Other projects include Spin (Signature Theatre 2013) and stage adaptations of Ray Bradbury’s Something Wicked This Way Comes and Disney’s Bedknobs and Broomsticks, developed by the Tony Award-winning Chicago Shakespeare Theater. Brian wrote the new book for the Goodman Theatre’s acclaimed production of Lerner & Loewe’s Brigadoon. Neil is the composer and lyricist of Broadway’s The Story of My Life, a production which garnered four Drama Desk Award nominations in 2009, two of which were for Mr. Bartram’s music and lyrics. With book writer Brian Hill, Neil has written music and lyrics for Somewhere in the World (Charlottetown Festival,) Clara’s Piano, (Stratford Festival and The National Ballet of Canada), Not Wanted On The Voyage, The Adventures of Pinocchio (Chicago Shakespeare Theatre), Spin and Belles Soeurs. His student-specific musical The Theory of Relativity was part of Goodspeed’s 2014 New Works Festival and had its London premiere in May of 2014. Other projects include a musical based on Ray Bradbury’s cult classic novel Something Wicked This Way Comes and the stage adaptation of Disney’s beloved film Bedknobs & Broomsticks. Neil’s awards include a Jonathan Larson Foundation Award, a Dramatists Guild Fellowship, and a Dora Award. Neil is a member of the Dramatists Guild, ASCAP, and is an alumnus of the BMI Lehman Engel Music Theatre Workshop. He is published by Warner/Chappell Music.